This post explains what’s new in the 2.0 version of the FICO Decision Management Suite, and how it can be used by data scientists and others to create stronger customer relationships and provide strategic competitive advantage. While FICO is still best known for the FICO Score and our credit card fraud solution — two highly successful analytics products — over the last three years we have been dedicated to building a platform of tools for developing and deploying decision management solutions. In this article, I’d like to explain what’s new in the 2.0 version of the FICO Decision Management Suite, which we launched in April, and how it can be used by data scientists and others to create stronger customer relationships and provide strategic competitive advantage. Decision management solutions are software services that expose predictive models, optimization models, and business rules to business processes for the purpose of automating business decisions. The Decision Management Suite is the fully realized incarnation of this software,utilizing cloud technologies to automate and standardize many of the functions and interactions that are common to building these solutions. 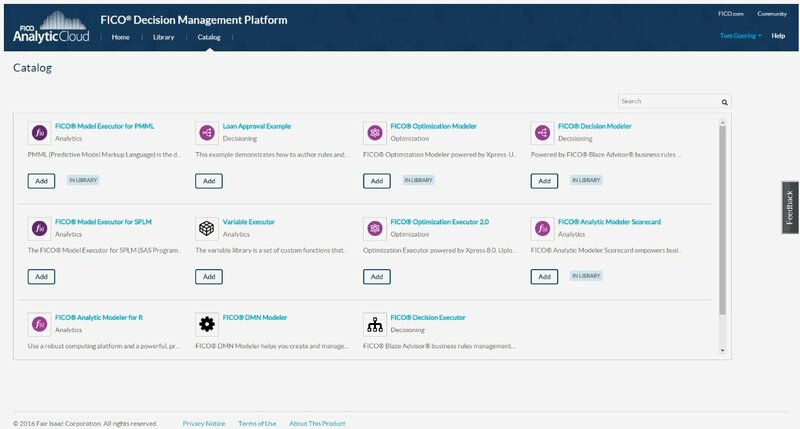 In addition to orchestrating the complex IT interactions required for an enterprise-level decision management environment, the new Suite handles the processes for deploying models as production scoring services, managing business rules updates and monitoring the health and performance of the scoring and decision services in the cloud. Figure A: Example of a modeler scorecard. This eliminates many repetitious, error-prone manual operations. The user interface was redesigned to reflect this simplification and make it easier for those without a deep data science background to participate in the decision process. This streamlining allows data scientists, business analysts, business-line managers, application developers, and system integrators to focus on value-added, role-appropriate tasks, while working with tools and user interfaces that are tailored to their specific requirements. 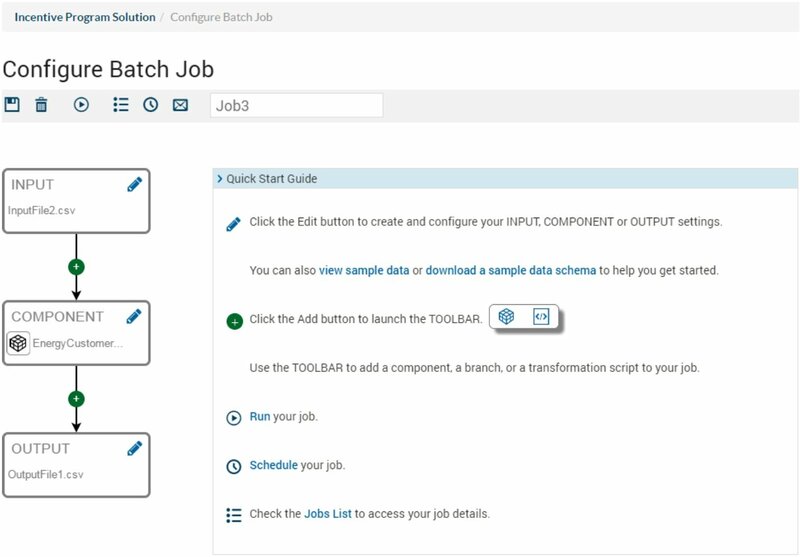 To enable this automation and standardization, the Suite’s tools conform to a defined component model. The model specifies how a component exposes its business services and user interfaces, along with some basic operations that the component implements. The model is designed to make it easy to build a lightweight wrapper around existing software in order to transform a wide variety of tools and products (both from FICO and other companies) into “decision management components.” Products that implement the component model can take advantage of platform services that simplify or automate traditionally manual processes. Figure B: Example of a component catalog. For example, one of the services is a container-management system tailored to support the lifecycle of decision management components. Software containers, based on Linux Containers, provide a standardized way to package and deploy software on any number of virtual or physical servers. Each component specifies the type of container it requires.When an analyst requests a component, it is provisioned in the appropriate container and run on the underlying IT infrastructure (which can be the FICO Analytic Cloud, a private cloud for on-premises implementation, or a third party cloud environment such as Amazon Web Services). When a model or rule set is ready for deployment as an executable decision service, the fully configured service is provisioned in another container and run on a dedicated testing or production server or cluster. The entire process, from acquiring the initial component to deploying the decision service into production, is automated -- and each step is completed in minutes.This makes it easy to migrate the software into different environments and to take advantage of clustered and distributed environments that support a wide range of scalability, availability, and disaster recovery scenarios. Standardizing the way components are packaged and deployed allows application of a common security model to all components running on the platform. The security service, based on the OAuth 2.0 standard, provides single sign-on authorization and access control for all of the containers, so solution owners can provide fine-grained control over who can access which components in each environment. Security is applied consistently to all components and is integrated with external systems through well-defined and trusted mechanisms.The component model also defines how a component requests and accesses other services, such as data stores, Spark clusters, or any other external services that are available to the platform. The platform is responsible for managing connection pools and for dynamically providing connections to the components that need them. The resulting system is flexible and extensible in a number of ways. New solutions can be created, developed, tested, and deployed without any changes to the underlying infrastructure. New tools, algorithms, data sources, or other types of intellectual property can be made available to users by wrapping them in an implementation of the component model. New services can be added to the platform, which are then discoverable by the components. The services and infrastructure can be scaled and tuned independently, without compromising the overall system. This approach gives analysts access to a growing set of tools, provides business managers access to reports and audit trails, andenables application developers and system integrators access to deployed decision services through standard APIs with robust security features. The Suite in its current state supports the development of easily deployed, robust decision management solutions, and it is designed to be extensible and adaptable to new approaches that will inevitably become available in the future. The FICO Decision Management Suite is designed to open the decision-making process to more people of different skill setswithin more organizations (particularly smaller ones), to integrate decision management deeper into business processes with greater efficiency, and to do so using the tools and configuration options best suited to a participant’s specific requirements. Figure C: Example of a configuration option. Bio: Tom Goering is an information architect and user advocate at FICO.